I'm not an avid fans of hand cream but I must admitted that hand cream from K-Beauty world are so tempting and it's makes can't resist to try it and one of the is A'pieu Sweet Banana Hand Cream. I love banana and it's makes me curious how it's gonna work and mostly because of the flavour dan the scents. 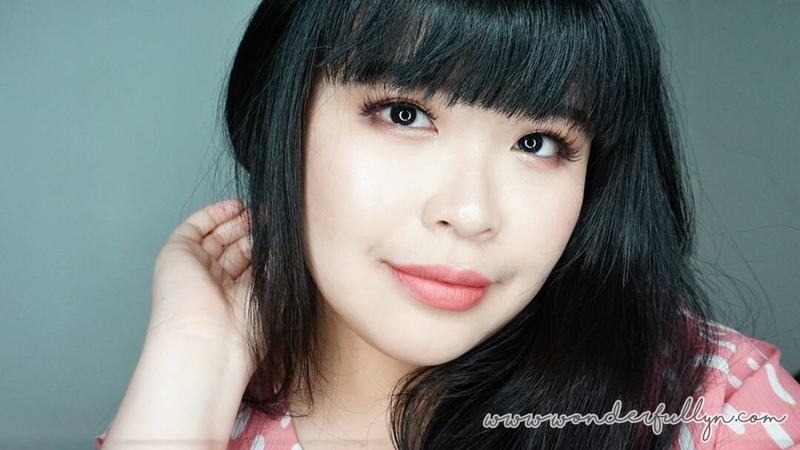 I like to take a look on the Apieu website because their products are affordable and from the same company from Missha. On the first time they launched this hand cream I think I should try this as a banana lovers. 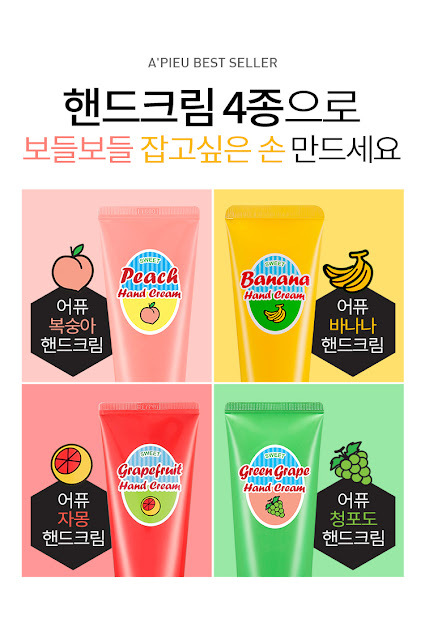 Not only banana they also have another flavours such as Melon, Peach and Grapefruit and the latest one is the Green Grape. For the melon already discountinued so for now the available flavours are Peach, Banana, Grapefruit and Green Grape. Okay the design of the product kinda simple but I don't really mind about it. The Korea prices for this 1,500 won or around 1.5 US$. Super cheap for 60ml hand cream right? OMG!!! I really love this A'pieu Sweet Banana Hand Cream OMO OMO OMO! I should buy more when I go to Korea, kinda sad that I try after I already back to Jakarta. I love how this one moiturize my hand and absorb quickly just like 30 seconds after I applied on my hand and it doesn't sticky at all. Those 3 kind of things that a must for me, and I love this A'pieu Sweet Banana Hand Cream. For the banana scents, it doesn't too strong and not too artificial which is didn't make me feel dizzy but sweet and fresh. For the price super duper affordable for 60ml hand cream.